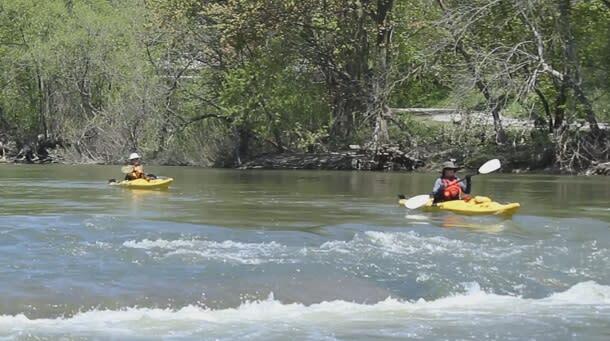 The Thames River has nearly 400 km of waterways navigable by canoe or kayak and the Ingersoll to Putnam leg of the south branch of this river is a great route for novice to intermediate paddlers. Before you grab your gear, be sure to read up on the full description of all that you&apos;ll experience on the Thames by clicking here. Located in Ingersoll Ontario, utilize the free public parking lot to access the river at the start of this route. Spend a morning or afternoon on this 8.6 km long rural paddling route through south-west Oxford county. Although short in length, this slow flowing river usually takes longer to complete than one might expect, due to slow flow rates. This section of the South Branch Thames River is more like a large creek than a river which starts out straight and deep in Ingersoll, but eventually returns to its natural state and winds itself through a riverbed made of sand and pebbles. In low to medium flow rates, many sandbars offer a great spot to land your canoe or kayak and take a break for snacks or lunch. This section makes its way through stands of large hardwood trees which provide much-needed shade on hot days and gives this route a rainforest jungle feel. Many swifts and rapids (smaller than class 1) are present, and require attention, but are not marked on the map due to their lower risk of danger. In higher flow rates, because of the many sharp twists and turns on this skinny river, this section requires strict attention by paddlers to properly maneuver their crafts around tight turns and other obstructions such as downed trees. This does however provide exciting paddling for kayakers or canoeists to test their maneuvering skills. The finish location for this route is the Putnum Road bridge, just north of the town of Putnum. Although this finishing location does not have a dedicated parking lot at the bridge, you can park on the side of the road on County Road 58, which is a short walk north of Putnum Road bridge. 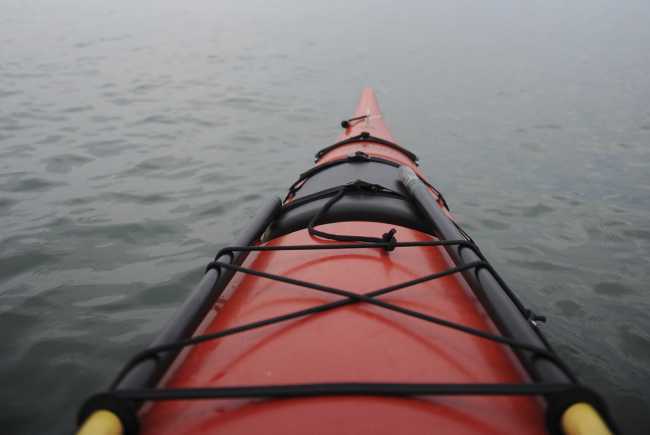 There are two other bridge locations found along the way, which can be utilized in the event you need to make a shorter paddle or stop earlier. Ingersoll Street North bridge (GPS: 43°01&apos;59.6"N 80°53&apos;58.8"W) and Line 25 GPS: 43°01&apos;06.6"N 80°55&apos;36.5"W). For an even longer day on the water, paddlers can continue down the river to County Road 73 (GPS: 42°59&apos;00.3"N 81°01&apos;24.9"W), but expect to add 3 to 4 more hours to this route. It should be noted that there is no dedicated parking lot at this location. Be sure to check the Kilworth to Dorchester and Fanshawe Dam to North London routes along the Thames too.